The largest and lowest string instrument in the orchestra. 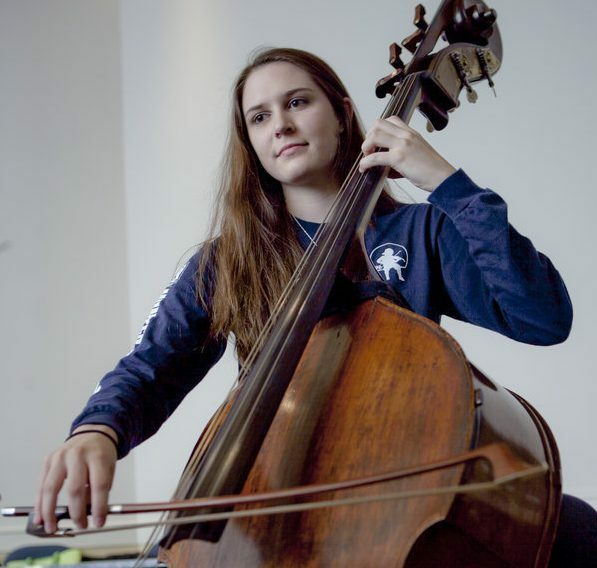 The double bass goes by many names: upright bass, bass fiddle, contrabass, standup bass, acoustic bass, or string bass to name just a few. No matter what you call it, the bass is the lowest sounding string instrument, making it the musical foundation of almost any style of music.